Must Watch: Wall-E Meets a Magnet! Now that Speed Racer is out of the way, Wall-E has taken the number one spot for my most anticipated summer movie. Yes, I'm also very excited for The Dark Knight, but there's something about this cute lil' guy that takes the cake. First Wall-E met a vacuum during the Superbowl, now he meets a magnet. It's amazing that so much entertainment can come from such a small object, as you'll see Wall-E discovers first hand. I hope we get a lot more of these "Wall-E meets…" videos before it opens in June! 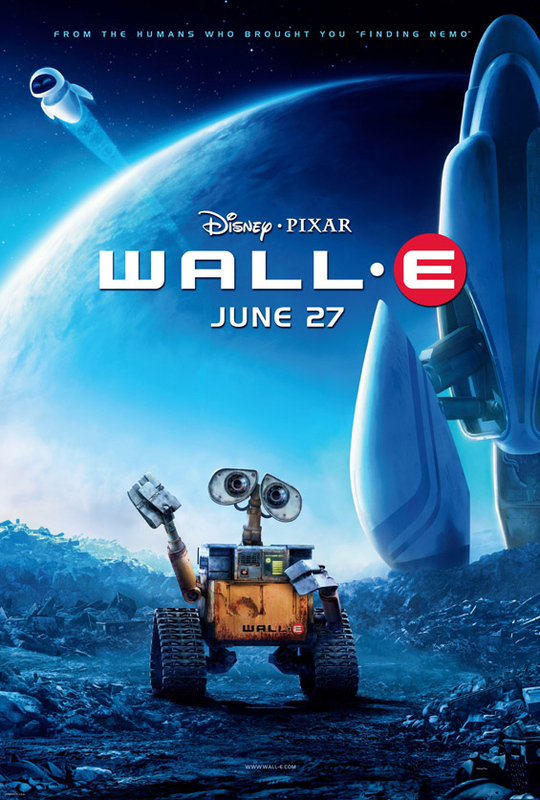 Wall-E is both written and directed by Pixar's own Andrew Stanton, who wrote and directed A Bug's Life and Finding Nemo. The movie will arrive in theaters everywhere this summer on June 27th - see you in the theater! The final poster is featured below. This movie has the potential to be something very special. It's a must-see in my book, as well. Coming Soon: Wall-E Meets Flypaper! lol sweet! so simple. great clip. Damn you Pixar and your CGI goodness! C'mon, don't you feel a bit manipulated by this? They might as well have made a movie about a fluffy white kitten. What? A fluffy white kitten? This movie looks amazing because Wall-E is such a damn well-design, cute, innocent little robot! noooo no no, NEXT: Wall-E vs. John 5!! !